“It is tantamount to an economic blockade”. That’s how Antigua and Barbuda’s Prime Minister, Gaston Browne, described the current withdrawal from Caribbean indigenous and offshore banks of correspondent relationships by US banks. His sentiments were echoed by Deane Barrow and Freundel Stuart, the Prime Ministers of Belize and Barbados respectively. As for money laundering, amid all the stiff regulatory and supervisory measures that have been enforced globally, there have been very few cases of money laundering in Caribbean jurisdictions, and where they have occurred the volume has been tiny in relation to the size in North America and Europe. Indeed, the sum of assets and transactions in Caribbean financial institutions are such a small portion of the global total as to pose no threat to the world’s financial system. Beyond all this, Caribbean jurisdictions have signed Tax Information Agreements with the majority of countries in North America and the European Union. These countries have automatic access to financial information in the Caribbean concerning their national companies or persons who they have cause to believe are evading tax. In other words, Caribbean jurisdictions are fully co-operative in ensuring that they are not used for tax evasion. 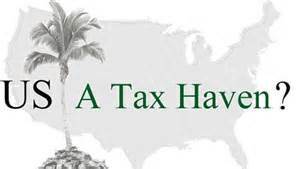 What is more, Caribbean banks now routinely advise the US authorities of accounts held by US persons and companies. Caribbean jurisdictions have also agreed to implement the US Foreign Account Tax Compliance Act (FATCA) which strengthens reporting on US persons and companies to the US Internal Revenue Service. And therein lies the contradiction. The US correspondent banks, which know the volume and worth of transactions they handle for Caribbean banks, have concluded that the rewards are too small for them to risk continuing to provide services. So, if the US banks have determined that transactions from all Caribbean banks are so inconsequential, how valid is the allegation that the region is “high risk”? As Professor Avinash Persaud rightly affirms, “the risk that the rest of the world is running away from is a phantom”. “The empirical evidence” as he says, “is that money launderers seek to hide their illicit earnings in large financial places like London, New York and Zurich”. It is not as if the authorities don’t know that their allegations about the Caribbean are untrue or that their own jurisdictions are non-compliant with OECD and FATF requirements. For instance, Bloomberg Business recently reported Andrew Penney, a managing director at Rothschild & Co as revealing that “after years of lambasting other countries for helping rich Americans hide their money offshore, the U.S. is emerging as a leading tax and secrecy haven for rich foreigners. By resisting new global disclosure standards, the U.S. is creating a hot new market, becoming the go-to place to stash foreign wealth. Everyone from London lawyers to Swiss trust companies is getting in on the act, helping the world’s rich move accounts from places like the Bahamas and the British Virgin Islands to Nevada, Wyoming, and South Dakota”.